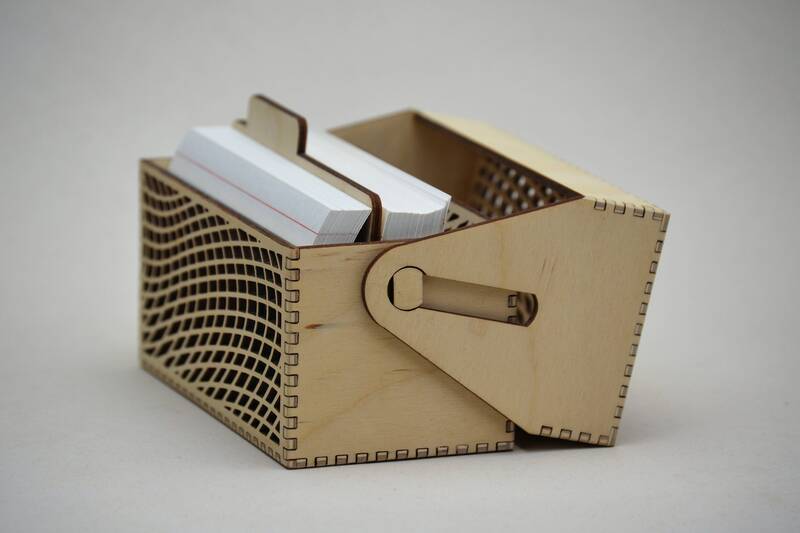 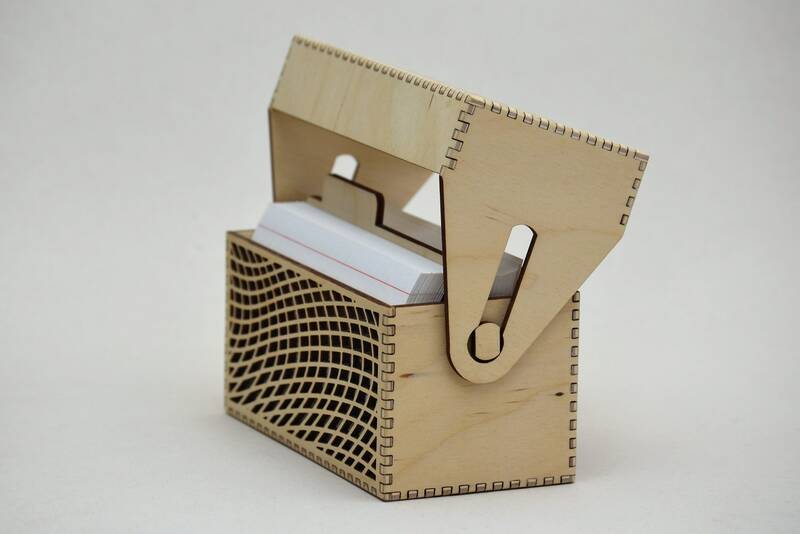 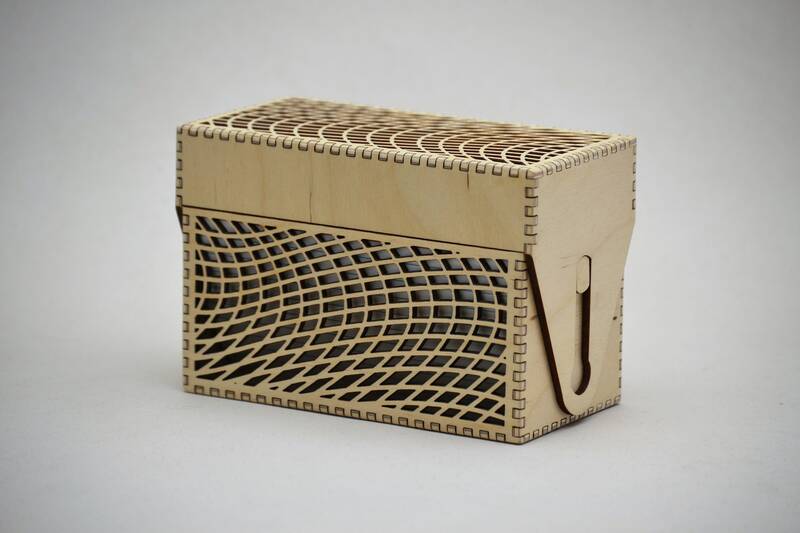 This birch plywood recipe card box features a wavey mesh pattern with an attached pivot hinge lid. 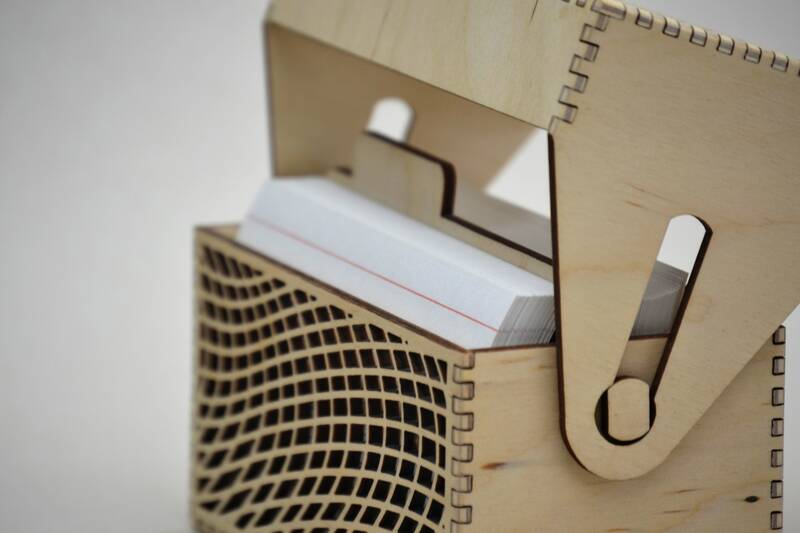 Comes with 3" x 5" inch note cards and a plywood divider. 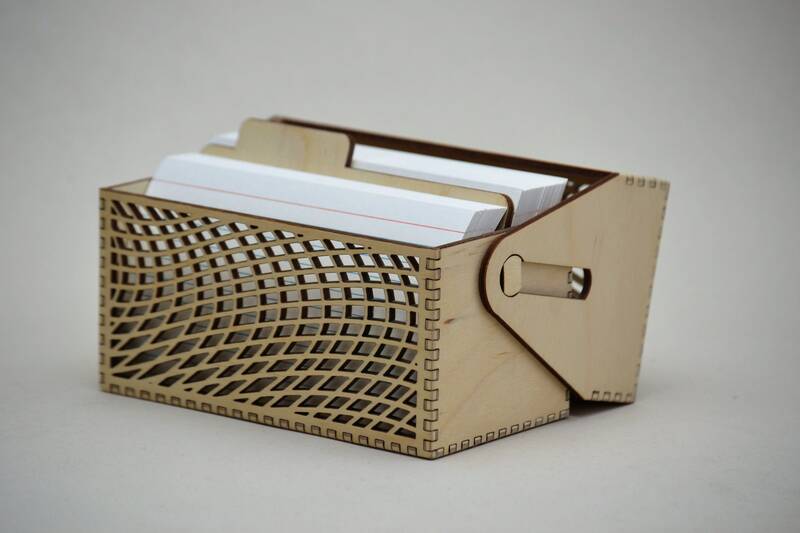 Go old school, organize your contacts on note cards. 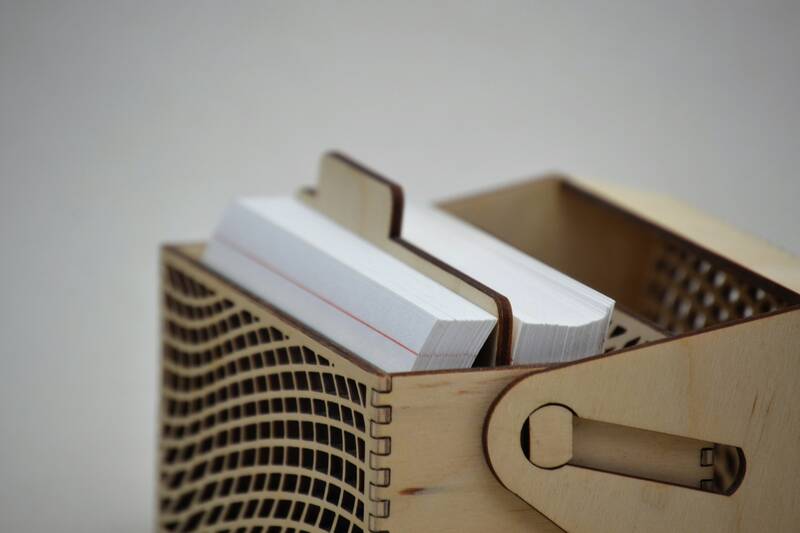 Or maybe start a file of your favorite recipes! 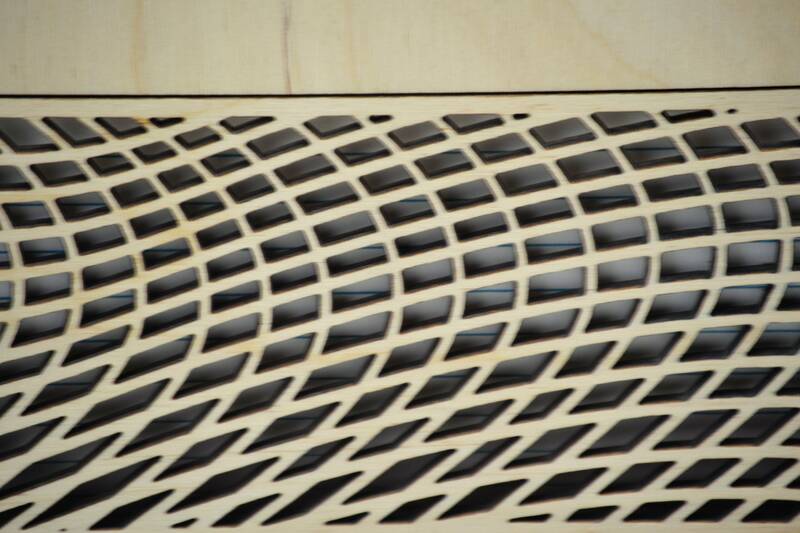 All the edges are sanded nice and smooth. 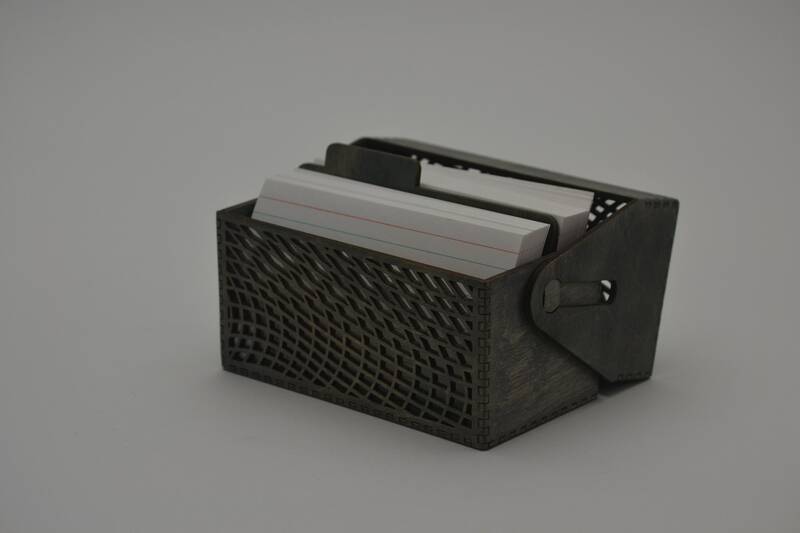 Measures 5 5/8" wide x 3 3/4" tall x 2 3/4" deep; standard 3x5 file cards fit perfectly. 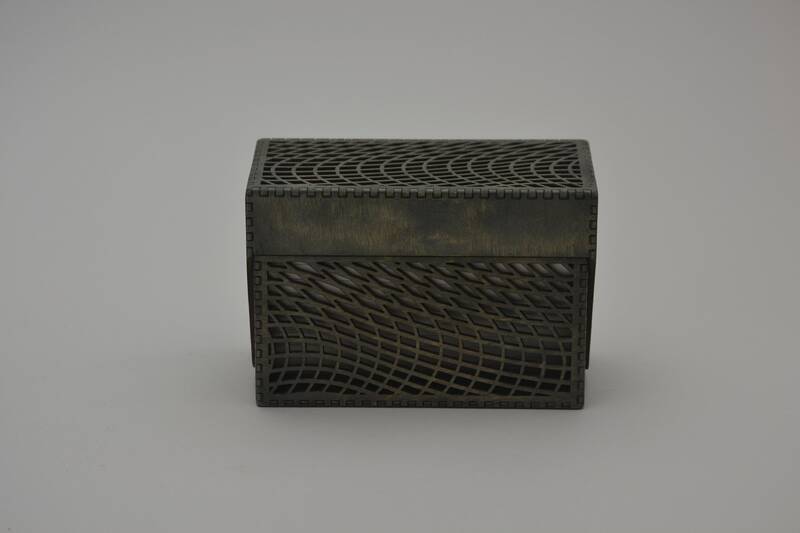 We offer this box in two different finishes: natural birch or a sophisticated pewter dyed finish.